If you have previously joined Desert Sands Unified School District on a T.R.E.C. then I know you will want to mark your calendar for this one! If you have not yet had the opportunity to participate, please allow me to personally invite you. T.R.E.C.s began several years ago as Desert Sands Unified School District’s method of bringing community members directly onto our school campuses to witness first-hand the excellent work being accomplished by our staff and students. T.R.E.C. stands for “Trustees Reaching Every Community” and our board members and the superintendent, board a school bus for a full morning tour of three schools. We have visited many of our schools and have spent time in each trustee area. This year we are doing things a little bit differently! We are visiting schools clustered around a particular academic focus. This first T.R.E.C. on March 1st will take us to schools that provided an emphasis on medical arts education. 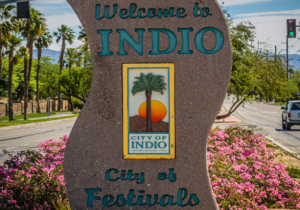 We will visit Dr. Reynaldo Carreon Jr. Academy, Indio Middle School, and the new facilities at Indio High School. Please join us on our T.R.E.C.! The attached invitation provides you with all of the details. See you on March 1, 2017.